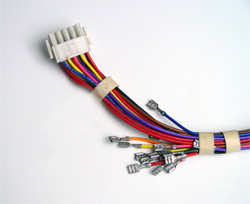 Wire harnesses come in many different configurations. They can be put in conduit, split loom, mate-n-lok connectors or simply tape or tied together in a specific layout. 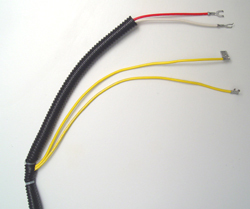 Wire harnesses are built to customer specs and controlled by in house testing. Help in design is also available and welcomed. All harnesses can be built to UL and CSA standard.